▲ My 2015 travels also took me back to Yogyakarta, Indonesia’s ‘cultural capital.’ Yogya painter Affandi ‘s home has been turned into a museum and art gallery, his exotically customised Mitsubishi Galant is just as colourful as the paintings. 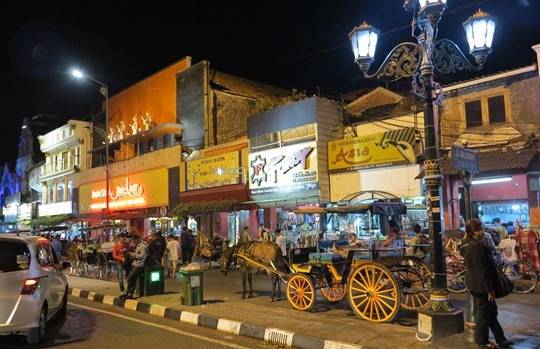 I didn’t get outside the city to the region’s two big attractions – Borobudur and Prambanan – although I did on my previous visit in 2010. 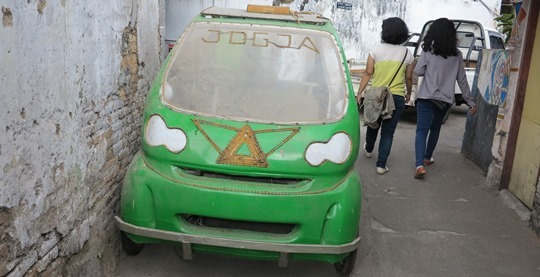 ▲ More cars in the laneways around the palace or Kraton where I discovered somebody manufacturing pedal cars like this Smart copy, VW Beetles were also popular. ▲ At night Jalan Malioboro is still the neon-lit centre of activity for the town. 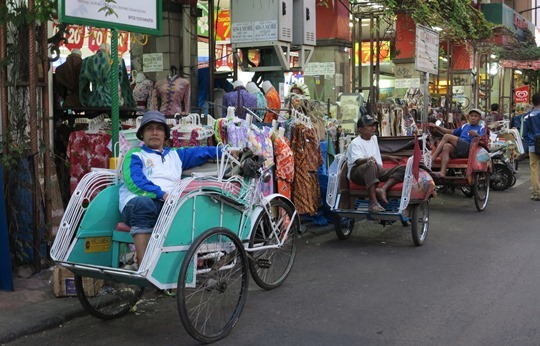 ▲ And I was glad to find the city’s becak (bicycle rickshaw) pilots were as busy as ever.